RETFUND DEVELOPMENT is the property development company of the Group in partnership with AERIUM. The company has expertise in the development of large-scale shopping centers and other commercial real estate. RETFUND manages all phases of land development or refurbishment or extension of existing properties from performing feasibility studies to construction management. 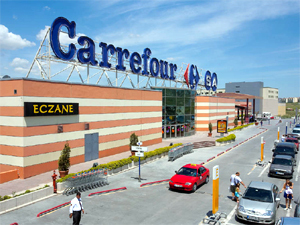 For 2008-2016, RETFUND has under development 7 Carrefour shopping centers with a total GCA of more than 600 000 sqm.